A couple of years ago I wrote about a new tool by Darrell Peart that allows users to drill square holes without the need for any specialized machinery. The tool was similar to a mortise chisel, but it was designed to work with a regular drill and a mallet. In reality, you can not really drill a square hole with this system, though a Tool-Rank users posted a link in the article comments that detailed the math that would be involved if you could. 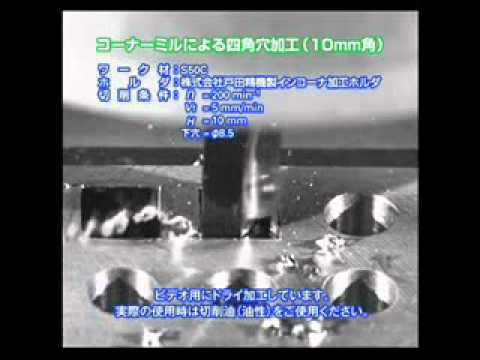 Today we take a look at a couple of videos that show that this type of drill bit is a reality. The original square drill bit is indeed real, and it was patented by Harry Watts way back in 1917. The bit uses what is known as a Reuleaux Triangle that rotates on a point that is off center. The shape of the Reuleaux Triangle when rotated off center creates an outline that is almost square. You can see this in the first video, and how the rounded corners on the triangle leave rounded edges on the square. The second video shows a hole that looks even more square. I think they are able to accomplish this because their system does not require the Reuleaux Triangle to be guided inside another rounded square. Therefore they can actually use a triangle shaped bit. This will defy everything you KNOW! Triangle shaped formed tool will drill SQUARE HOLES. Amazing concept, but from the sound of the impacting cut I'll bet the mill head is short lived. The square holes need to be roughed out first with an undersized drill bit. 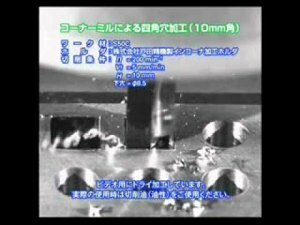 The offset triangular form tool doesn't appear to be able to plunge that fast, the video says 200 in/min. One advantage this tool has is being able to make a very deep cut relative to a small corner radii. I also see a problem with keeping the square shape parallel to the sides of a workpiece. Russian Video with no audio and excellent animations.